A water test is the best way to learn about any unwanted additives and contaminants in the water supply of your Fresno, California home. While you may have never considered getting a water test, RainSoft believes you have the right to know what’s in your water at no cost to you. Tap water from a city or county supply, which is typically deemed safe to use and consume, can contain certain additives and even naturally occurring minerals that may have negative effects. For instance, hard water, which is the result of high concentrations of calcium and magnesium, can cause soap scum to continuously appear on bathroom fixtures, limescale buildup that clogs pipes and reduces water pressure, dishes that are water-stained, and skin that feels dry. Hard water can also shorten the lifespan of your water-using appliances, such as your dishwasher, and put added stress on your plumbing system. Among many other things, a water test from RainSoft can help you learn whether you have hard water in your home and help you find the best solution for it. 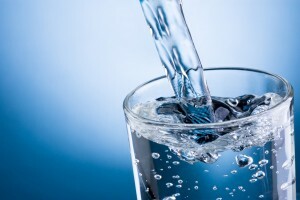 And, aside from helping you get rid of hard water with one of our industry-leading water softeners, RainSoft can also install drinking water systems to provide you with better than bottle-quality water, and whole-house problem-solving water filters to address issues like iron and sulfur in your water. If you would like to take advantage of our complimentary water test and learn more about the water in your Fresno, CA area home, contact RainSoft to make an appointment today.